11 Credit Myths - Real Estate by Brooke D.
Ooooh, credit scores! They can be a hugely stressful, especially when buying a house. Read on to get some tips on what’s true and what’s not. Forget everything you’ve heard about credit. Well, maybe not everything. “Living within your means” is always important, but you should be willing to rethink what you know. 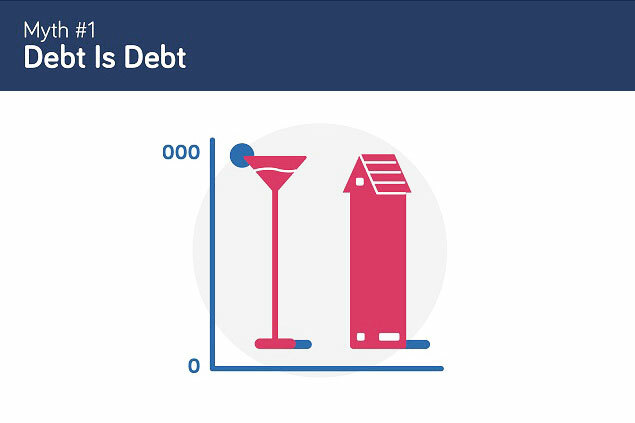 Because when it comes to debt, credit reports, and credit scores, conventional wisdom is peppered with myths, misunderstandings, and misrepresentations. Credit is a tool. Like any tool, it’s neither good nor bad in itself. What matters is how you use it. 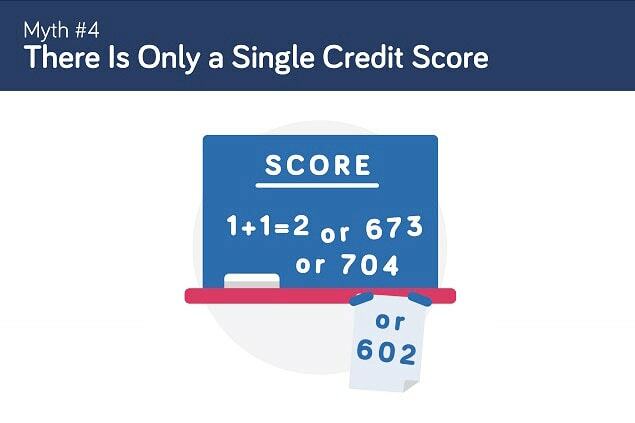 There isn’t just one single credit scoring formula that applies to all consumers in all situations. There are more than a thousand scoring models in use in the credit marketplace. A consumer could therefore have dozens or even hundreds of different credit scores. 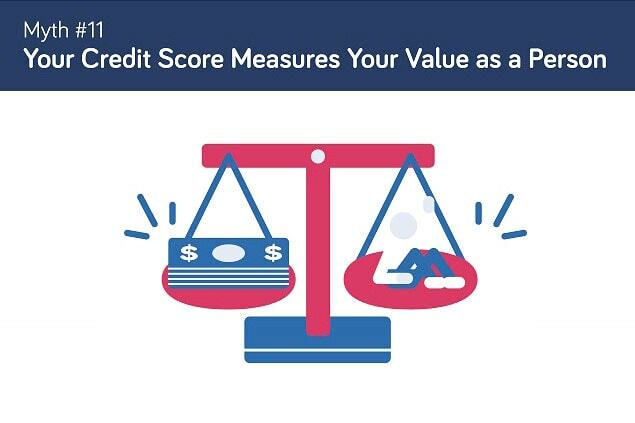 Lenders and others check your credit score for different reasons, and each formula looks at your credit history in a different way, giving different weight to various factors. Credit bureaus collect information about your debts and use that information to assign you a credit score. 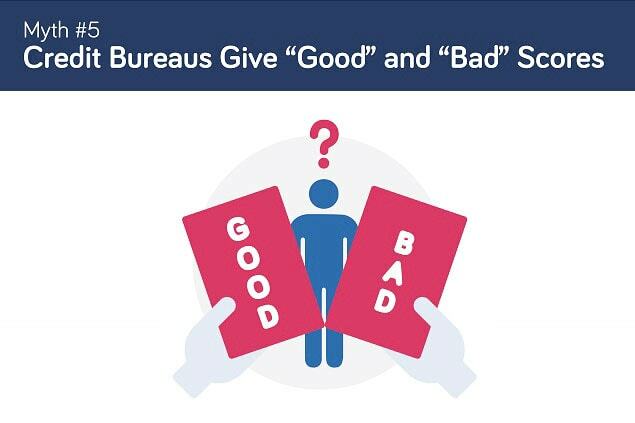 Those scores are neither objectively “good” nor “bad.” They’re a measure of risk. It’s up to lenders to decide whether a given score meets their criteria for extending credit. And, scores are usually just one factor in their decision. 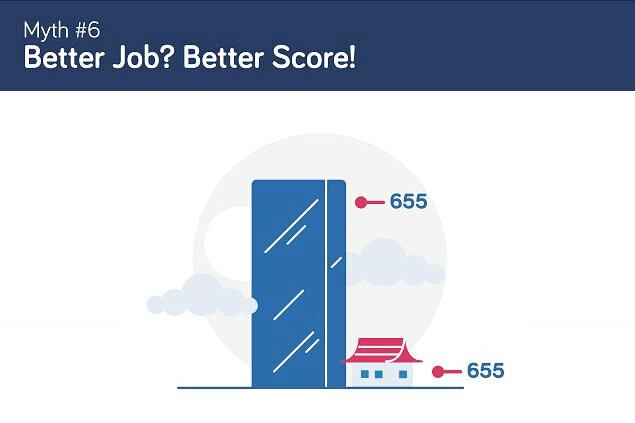 A “good” score might not mean much if you don’t have a job or any assets. Likewise, a high income and a stack of gold bars might outweigh a “bad” score. 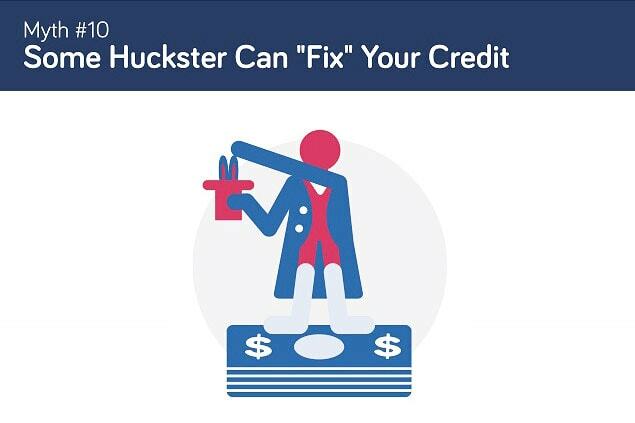 Your job title and income have no direct effect on your credit score. Scores are based only on the information found in your credit report. 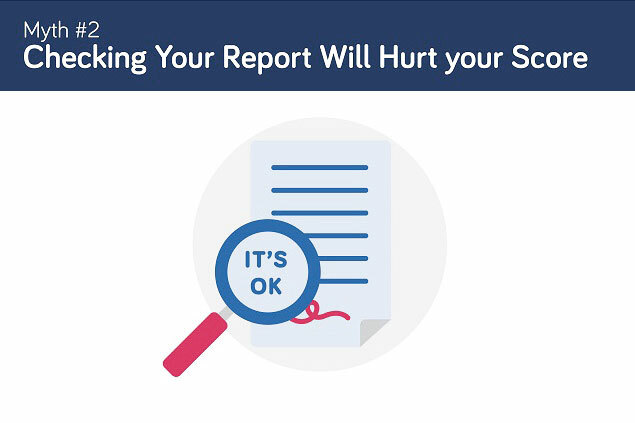 Your report includes a lot of information about your use of credit and your management of debt. But, it doesn’t include your income. In fact, it may not even indicate whether you have a job (nor will it tell you to get off the couch and get one). That said, your employment situation can affect your score indirectly, in terms of your ability to pay your debts. And when you apply for credit, lenders will probably ask about your income. 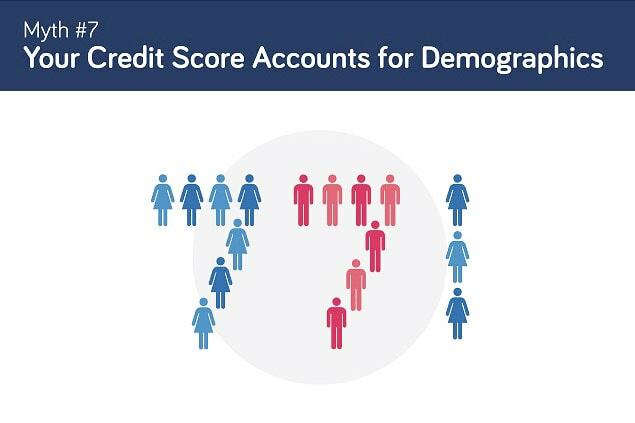 Just as credit reports don’t list your income, they also don’t provide much demographic information. Credit reports contain no information about such things as race, national origin, religion, profession, disabilities, sexual orientation or military veteran status. They also don’t say how much you have in the bank or in retirement accounts. 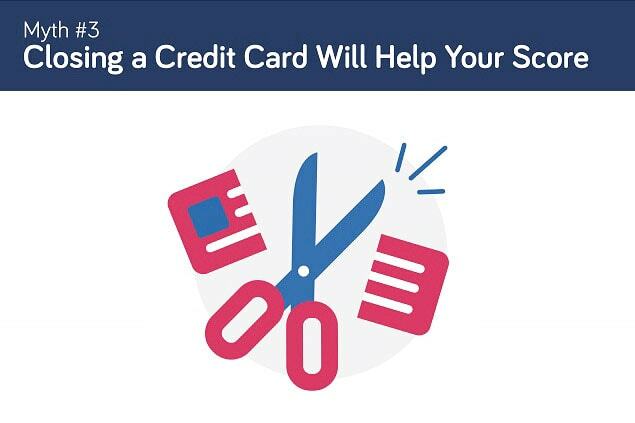 And if it’s not on your credit report, it can’t affect your credit score. 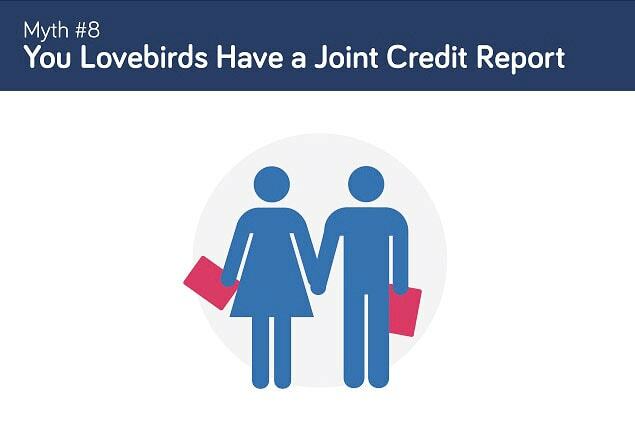 There’s no such thing as a joint credit report – for married couples or anyone else. Married or single, you have your own credit report, one that’s linked to your Social Security number. If you’re married, you and your spouse may have a lot of joint accounts, such as mortgages, car loans and shared credit card accounts. Those joint items will appear on both your credit reports and will affect both of your scores. But your credit report is yours and yours alone. 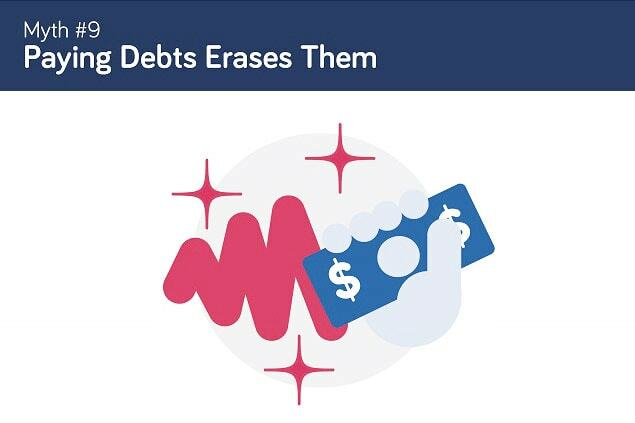 Pay off a debt and you’ve eliminated your obligation – but the evidence of that debt can stick to your credit report for years. If you pay your debts on time and in full, you will likely want your paid-off accounts on your credit report because they show that you’ve used credit responsibly. If, on the other hand, you’ve been chronically late, missed payments or defaulted entirely, that’s a problem. Most negative information can remain on your report for up to seven years; some bankruptcies can stay there for up to 10 years.